Why host an outdoor movie event? Outdoor movies are a fun and affordable way to entertain small and large groups of people. Both kids and adults love it. When your guests come to your party and see a giant inflatable screen setup their first reaction is “WOW”, and that’s even before the movie starts! It’s like going to the movies without having to leave your home. It is also a great way for groups, organizations and businesses to entertain clients, fundraise or show employee and customer appreciation. Why should we hire Bring the Big Screen? Bring the Big Screen not only has the equipment and expertise but also is committed to customer satisfaction. Since BBS is a small family owned company you will work directly with the owner and not just a random employee. Best of all, we offer the best prices and have pro quality movie equipment to provide an awesome movie experience. Upon initial contact we will ask some basic information such as event type, event location, event time, audience size, screen size, etc. and of course answer any questions you may have. If you decide to rent our theater we will enter you into our schedule. A $50 deposit is required up front and the remainder at the event. On the day of the event you provide the movie, electricity from a standard outlet and enough space for the movie equipment and your guests. Copyright laws prevent Bring the Big Screen from supplying the movie. If you do not have an electrical outlet within 100 feet of the theater setup location we can provide a generator at an additional rental cost. 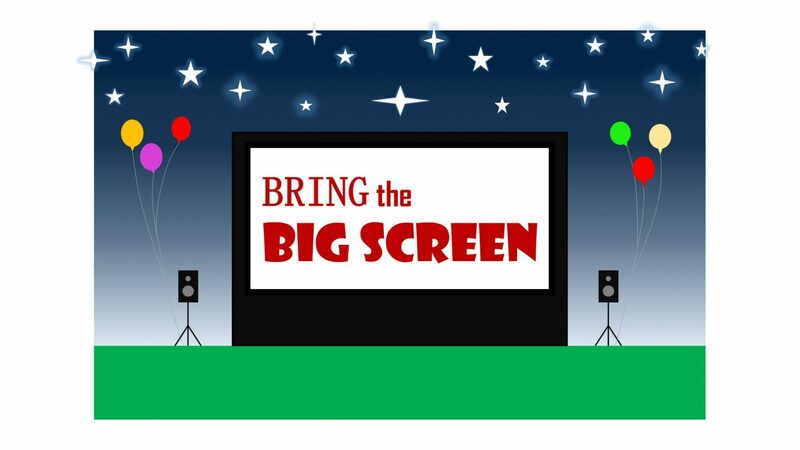 Bring the Big Screen understands that you will need to stay focused on your guests and other event details, or you may just want to relax before the show. The movie theater will be delivered, setup, operated and removed for you. 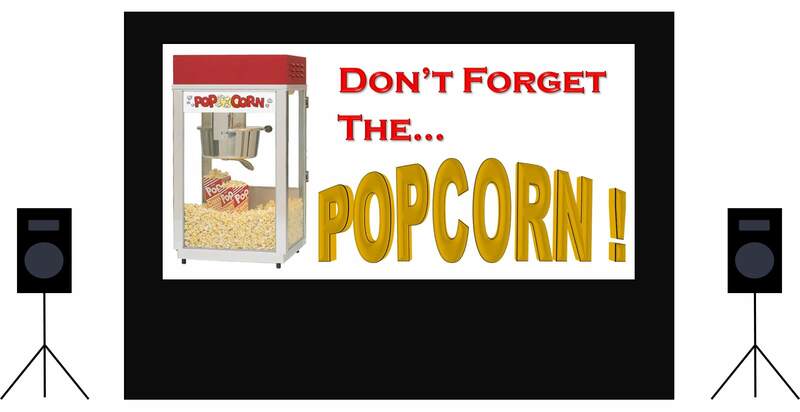 We will arrive 1-1½ hours before your show time to get the movie theater setup. Once the theater is setup we can play music over the PA speakers to entertain your guests. Do I need to purchase a Copyright license to show my movie? It depends. If you are showing a film for your family and friends, in your backyard, or within the boundaries of your private property, then no. Outside of that, you will need licensing. It’s easy and relatively inexpensive to obtain licensing for most movies. The typical starting range is $250-$425. We can assist with the process if you wish. More information on licensing can be found here. What time should we start the movie? Our projectors are bright enough to start at sunset but starting about 15 minutes after sunset is better if possible. For sunset times click here. Ok, enough about movies, what about video games or live broadcasts? 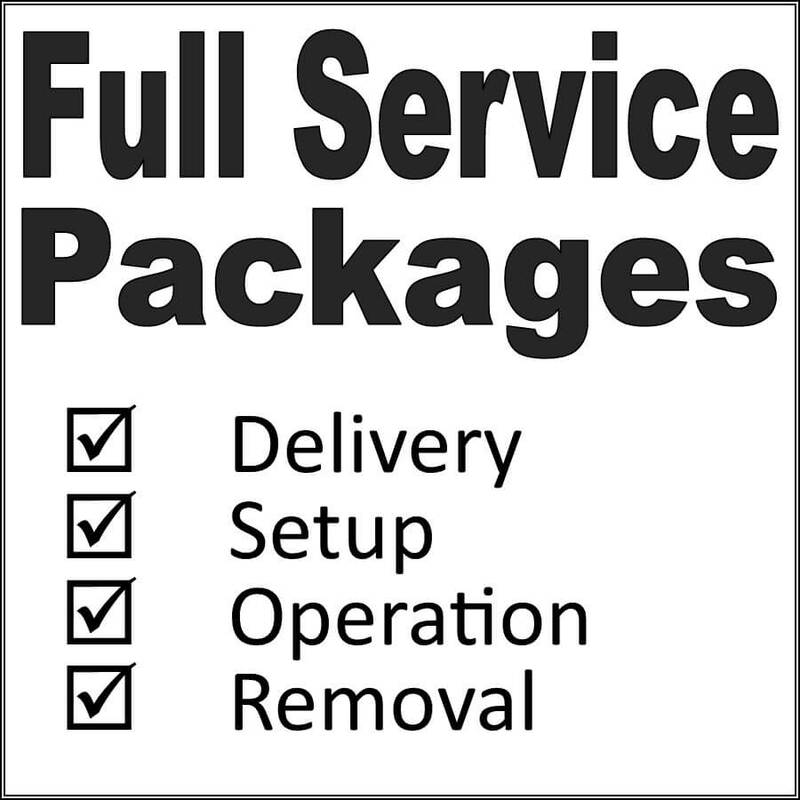 If you provide it, we can attach any video game console, cable box, satellite box, roku or computer to our system as long as the output is HDMI and within 50′. If there is a 40% or more chance for rain, lighting or strong winds BBS will stay in contact with you up to the day of the event. We cannot set up or operate the theater during active rain or winds over 20 mph but we can protect our movie equipment from quick passing showers. The movie would have to be paused and then restarted after the shower passes. We will make every effort to show the movie and will monitor the weather on real time radar. If we do have to cancel due to bad weather prior to traveling to the event location, the $50 deposit can be applied to a new scheduled show time or can be refunded.